YLA was created in the 2012-2013 school year to combat the “middle school slump,” which is prevalent across the nation. Typically, middle school students regress significantly academically and emotionally during this time period. YLA works to reverse this trend, and provide a middle school experience that is successful and fun for students. 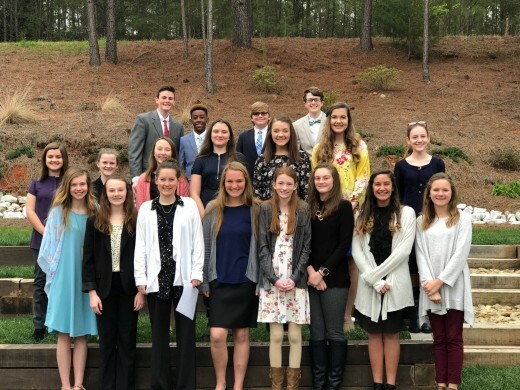 A talented and driven group of educators and community leaders joined forces to partner with the Clemson University Youth Learning Institute (YLI) to start a charter school in Pickens County. In August 2012, the Youth Leadership Academy of South Carolina (YLA) opened its doors welcoming 48 students and a waiting list for enrollment. Both enrollment and waiting list numbers have increased dramatically since 2012. Patsy Smith, the YLI Director of School-Based Programs, played a key role in the development and direction of the charter school. Mrs. Smith served as the principal of YLA for the first three years, before moving into a Director role to begin gathering an additional group of educators and community leaders in Aiken County in order to start another charter school. In 2016, Tall Pines STEM Academy opened its doors to students. Both of these schools operate under a “Students First” culture, and promote leadership, physical activity, and academic success. Youth Leadership Academy is accredited through the South Carolina Department of Education.